LPG carrier "Maple Gas". Image by Kawasaki. 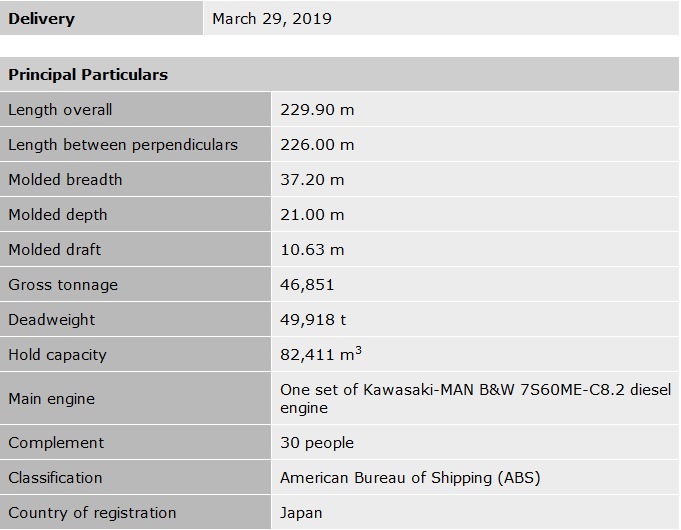 Kawasaki Heavy Industries, Ltd. announced today the delivery of the Maple Gas (Kawasaki hull no. 1738), a 82,200 m3 capacity liquefied petroleum gas (LPG) carrier, for Astomos Energy Corporation. 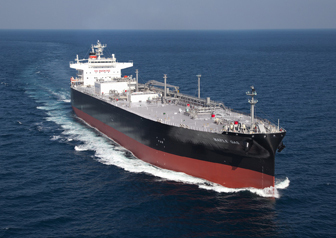 This is the 57th LPG carrier and the 8th LPG vessel of the same type to be built by the company. 1. This vessel adopts Kawasaki's uniquely developed bow shape called SEA-Arrow, which significantly improves propulsion performance by minimizing bow wave resistance. 2. The main engine powering the vessel is an energy-efficient, electronically-controlled, ultra-long-stroke, two-stroke low-speed diesel engine. In addition, the Kawasaki rudder bulb system with fins (RBS-F) and the semi-duct system with contra fins (SDS-F) contribute to reducing fuel consumption. 3. Four independent cargo tanks are installed in the cargo holds for carrying liquefied petroleum gas. The tanks are designed to provide optimal thermal insulation and absorb low-temperature contraction. 4. The cargo tanks are made with special cryogenic steel for loading LPG with a minimum temperature of –46°C. The tanks are wrapped in urethane foam for thermal insulation. 5. The vessel is designed to be fully compliant with the New Panamax requirements and is able to navigate the newly expanded Panama Canal, which was completed in June 2016.